A couple of weeks ago, I mentioned that I would be talking about an encounter Charli and I had on our way to LA for a little getaway. Well, now it’s time. It’s nothing that will make the headlines, but it was a special moment for us and for Elias I think. Charli needed new soccer cleats. Since we were on our way to LA, we decided to stop by Sportspage in Fountain Valley, the best place to find affordable, quality cleats. And we have lots of fun memories of going there when Charli was young to get cleats with her pony-tailed teammates. Elias is the owner. He is passionate about soccer and about outfitting soccer players, the peewees up through the pros, with the best possible gear. When you check out at the counter, he can tell you stories about which pro soccer players wear the model of shoe that you’ve picked out and why. 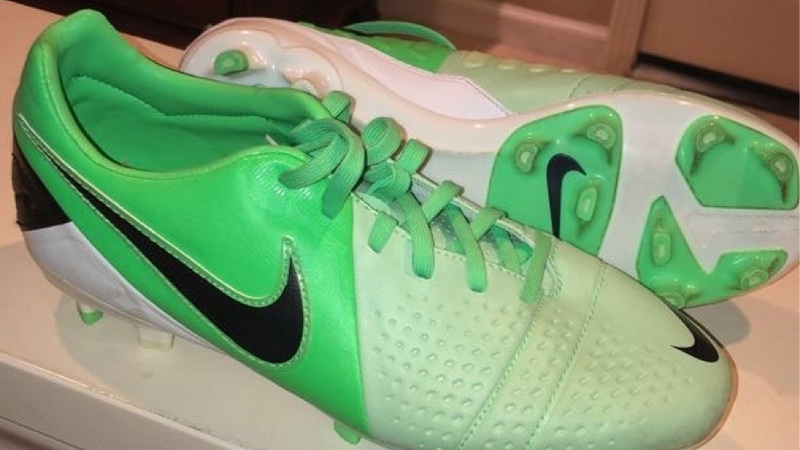 Charli was ecstatic that Sportspage had several versions of her all-time favorite cleat — Nike CTR360. We narrowed it down to two pairs (she’ll go through the first pair in six months) and laid them on the counter in front of Elias. He did not disappoint. He told us how Landon Donovan of LA Galaxy had worn the very model of cleats Charli had chosen. I noticed a picture of a young man taped to Elias’ computer monitor. The picture was accompanied by a poem about a boy in heaven. I asked about the picture. Elias told me this was his son. He died two years ago suddenly of a brain aneurysm. He had been an accomplished athlete, undoubtedly the pride of Elias’ heart. I told him I was so sorry he had lost his son and that I had lost my son on January 1. Usually a fount of words, Elias sat silent, staring for a few seconds into eyes that knew, that felt the shape of his pain. We talked about how unnatural it feels to lose your child. How it really is the worst thing. Elias said, essentially, it’s hard sometimes to keep going. Elias told me to bring in a picture of my son and he would put it up in the store. I did. I pray for Elias. That his heart, like mine, will heal. Not forget. But heal. That the bleeding will stop and the acute pain will ease and he will have less moments when he feels like it might be too hard to keep going. It’s funny how a new pair of cleats can lead to a moment of connection between two strangers. Simply because we both know.